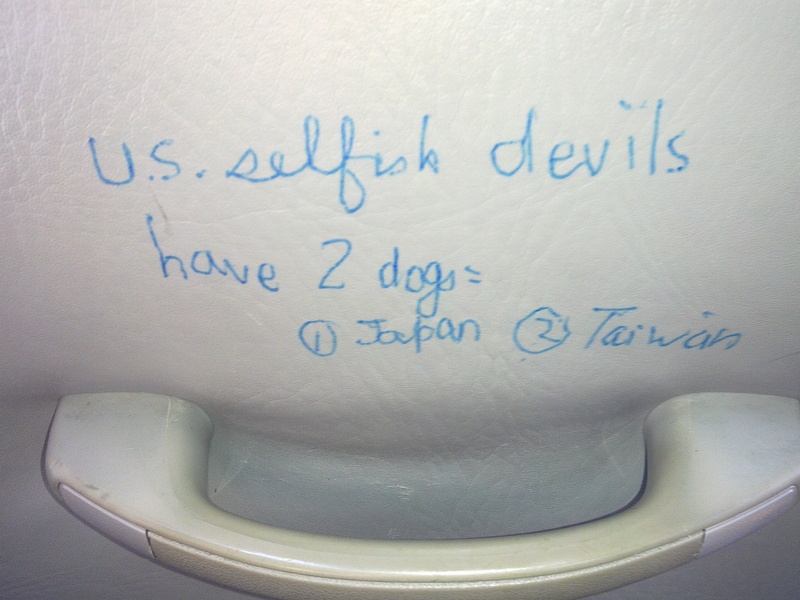 I was riding the minibus and noticed someone has written a message on the back of the seat…clearly favourable sentiments for the US is low in Hong Kong. The message is most likely written by some high school students, a relatively strong statement coming from such young minds. on how I think China and Japan should be best friends, but the US is standing in the way. 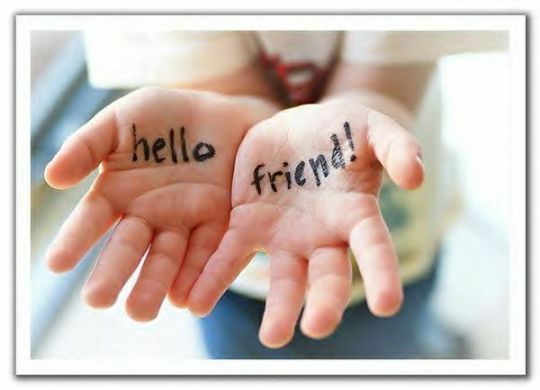 When I was living in Canada, I think Americans in general are friendly and good people, but I cannot say the same thing about American foreign policies, and I still believe they are too aggressive and often meddling in places that are none of their business. A couple weeks ago, Hilary Clinton made a statement saying something along the line that Asia is an important and dominant force of the decade and the US has decided to play a leadership role in Asia. I got to tell you, this statement is met with a lot of contempt because hellOoOOoO, why are you being a leader in Asia? Does that make sense to anyone? At times, I feel sorry for American citizens because while they are good and friendly people, their government has made them a target of contempt and displeasure amongst other citizens in the world… I for one have no desire for a green card. If Americans are not feeling loved overseas, they really should blame their government, I seriously do not believe the American government is looking after the well- being of their citizens; rather, the American citizens are thrown under the bus and rolled over by their own government.